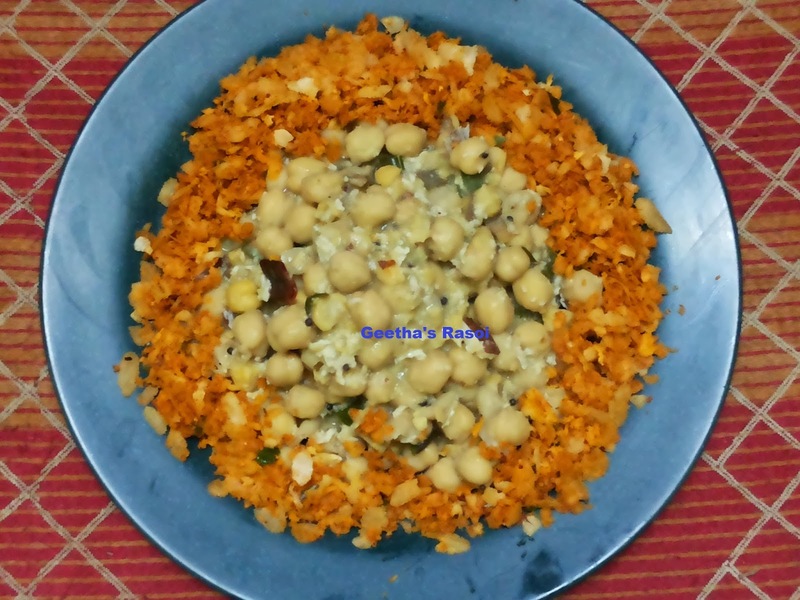 Soak kabuli chana for 5 to 6 hours, then pressure cook with chopped raw banana or potato till 3 to 4 whistles. Let it cool and drain the excess water. Heat oil in kadai, add mustard seed, when it splutter add red chilly cut into two. 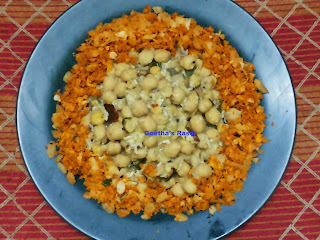 Fry for a minute add curry leaves and hing and add cooked chana and add grated coconut and mix well and cook till dry.